Stand out this summer with a fresh collection of sunglasses. 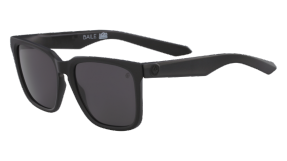 The Baile (pronounced Bal-yay) was designed in collaboration with world champion surf and Dragon Ambassador, Mick Fanning.. Timeless and comfortable; the Baile stays true to Fannings personality and lifestyle. WE STOCK THE MOST KNOWN AND RECOGNISED SAKTE & SURF BRANDS FROM AROUND THE WORLD. For core surf, skate, bodyboard and fashion. Like all Australian surf shops, Southern Man began in a small store, in a small Australian coast surf town where the gear was delivered out the back of national sales reps cars. Now with a huge bricks-and-mortar retail store with over 5,000 products and 100 brands and a product blog Southern Man Surf Shop is ready to satisfy your action sports hunger. So check out all surf and fashion gear in store and join in online conversations! In our surf shop, we stock all the well-known premium surf brands such as Billabong, Quiksilver, Rip Curl, Volcom, Rusty, Nixon, Von Zipper, Element and Tigerlily together with many other brands that are more unique and harder to find online. We pride ourselves on having a substantial range of in-store customer service with nearly over 45 years of experience. We carry a broad range of surf accessories and hardware to suit any rider (from surfboards and beginner surfboards, wetsuits, tail pads, triple board covers, surf wax, to comp leg ropes and surf fins). Our mens’ gear includes Tees, Boardshorts, Walkshorts, Singlets, Jeans, Jackets, Hats, Caps, Beanies, Watches, Sunglasses, Backpacks, Shoes, Belts and much more.Our womens’ range includes Swimwear, Bikinis, Tees, Singlets, Dresses, Boardshorts, Jeans, Skirts, Handbags, Thongs and Shoes together with all the essential necessities. And don’t forget the kids and toddlers range, with swimwear, tops, rash vests and shoes nothing too cute can be missed. Skateboarding, Surfing and bodyboardng is our chosen lifestyle and we, like you, love to surf our local breaks around Ulladulla, Milton, Mollymook, Manyana and the rest of the South Coast of NSW. Although we all make the time to adventure out of the Shoalhaven to take our annual surf and skate trips overseas, our passion extends to our surf product and knowledge.